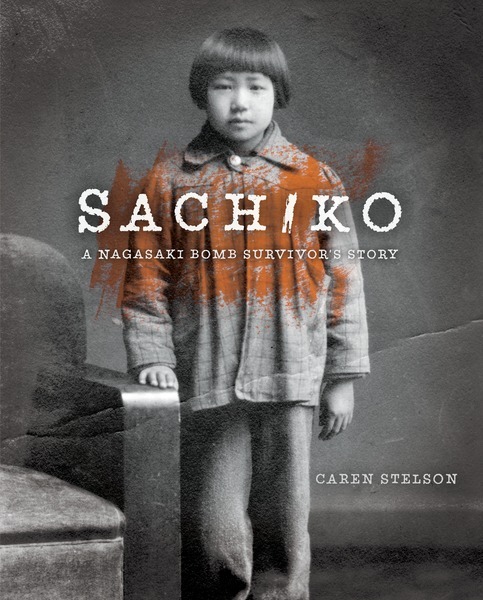 Caren Stelson is the author of Sachiko: A Nagasaki Bomb Survivor’s Story, which will be released on October 1, 2016. The book tells the story of Sachiko Yasui, who was six years old when an atomic bomb was dropped on Nagasaki where she lived. Booklist called Sachiko “luminous, enduring, [and] utterly necessary” in its starred review of the book. Why is Sachiko’s story important to tell now, more than seven decades after the bomb dropped on Nagasaki? Sachiko Yasui’s story of surviving the Nagasaki atomic bomb is as relevant today as it was seventy-one years ago. According to the Ploughshares Fund, 15,375 nuclear weapons remain in the world with the U.S. and Russia possessing 93% of them. But for me, Sachiko’s story is broader and deeper than nuclear history and politics. We all experience pain and loss in our lives. Sachiko’s story is a universal one of resilience and a search for peace. If I had only one big story to write in a lifetime, it would be Sachiko’s. How and when did you get the idea for this book? 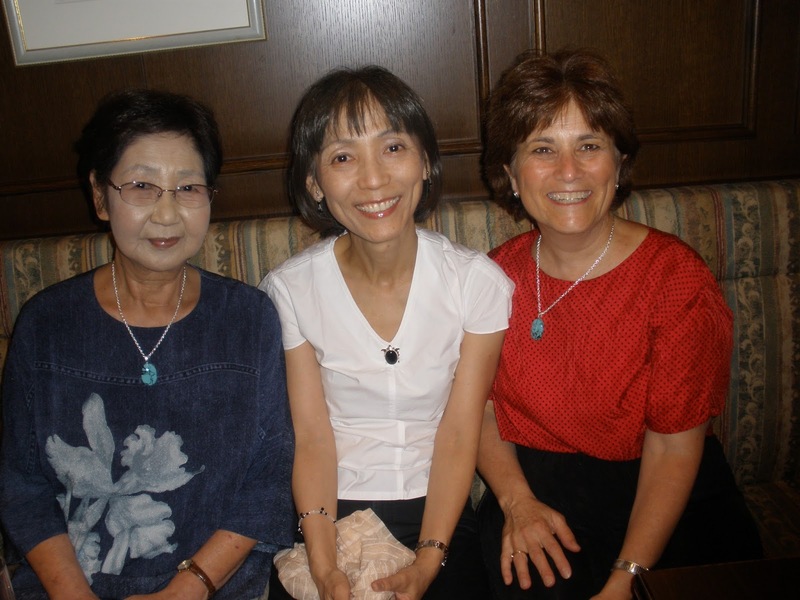 I met Sachiko Yasui on August 6, 2005 at a Minneapolis peace park. Sachiko was visiting the Twin Cities on a peace mission to commemorate the 60th anniversary of the atomic bombings of Hiroshima and Nagasaki. When Sachiko was introduced to the park’s audience, I was startled. I had never met anyone who had survived an atomic bomb. Sachiko was so young, just six years old, and only 900 meters from ground zero when the atomic bomb detonated. Being a writer and having interviewed many WWII survivors from Germany, the United States, and England before, I thought I had the skills to write Sachiko’s story, but it took me five years before I had enough courage to ask her to work with me. Even when Sachiko said yes, I had no idea what a challenge it would be to write her story. Why did you write this book for middle-grade readers and teens instead of adults? I have an MFA in writing for children and young adults, so I naturally think in terms of what young people might want to read. What’s more, when Sachiko spoke, she often shared her story with children and teens, always encouraging them to think about peace. Sachiko and I agreed: young people are our future; they need to understand the past. Many types! The book’s main narrative comes from my interviews with Sachiko in the course of five trips I made to Nagasaki. While in Nagasaki, I also wanted to internalize the topography of the city, understand the city’s history and culture, speak with experts, and study the exhibits in Nagasaki’s Atomic Bomb Museum. I also traveled to Hiroshima on a scholarship to interview survivors and attend a week long peace symposium at Hiroshima City University. When I returned home, I read many more hibakusha [atomic bomb survivors] testimonials from Hiroshima and Nagasaki to compare these survival stories to Sachiko’s experience. To educate myself more broadly, I read numerous books about WWII and the War in the Pacific from different perspectives, and I located and interviewed WWII veterans who had fought against the Japanese. To further my understanding of Sachiko’s key influences on her journey to peace, I visited the Helen Keller Archives in New York City and read as much as I could about Mahatma Gandhi and Martin Luther King Jr. I even had a chance to visit Pearl Harbor in Hawaii and stepped onboard the U.S.S. Missouri where the surrender papers were signed to end the war on September 2, 1945. In short, I walked around in Sachiko’s story for six years, learning as much as I could. Were there other details that you weren’t able to fit into the book that you’d like to share with readers? What’s impossible to show in a published book is the process of writing it. If you can believe it, this book began as a picture book. But the more I learned, the longer it became. If I knew beforehand what I would have to do to complete Sachiko’s story, I might never have started. Sachiko’s story was an emotionally daunting story to tell and finding a way to tell it was a challenge. Since Sachiko does not speak English and I don’t speak Japanese, we needed translators. 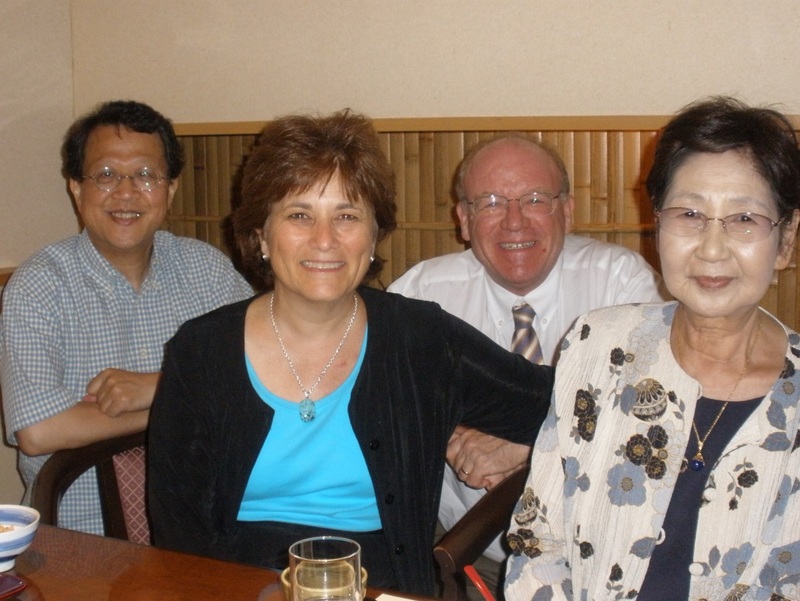 In Nagasaki, our mutual friend, Dr. Takayuki Miyanishi simultaneously translated as Sachiko told me her story. When I returned home to Minneapolis, Keiko Kawakami translated my letters to Sachiko or called her on the phone to translate my questions. 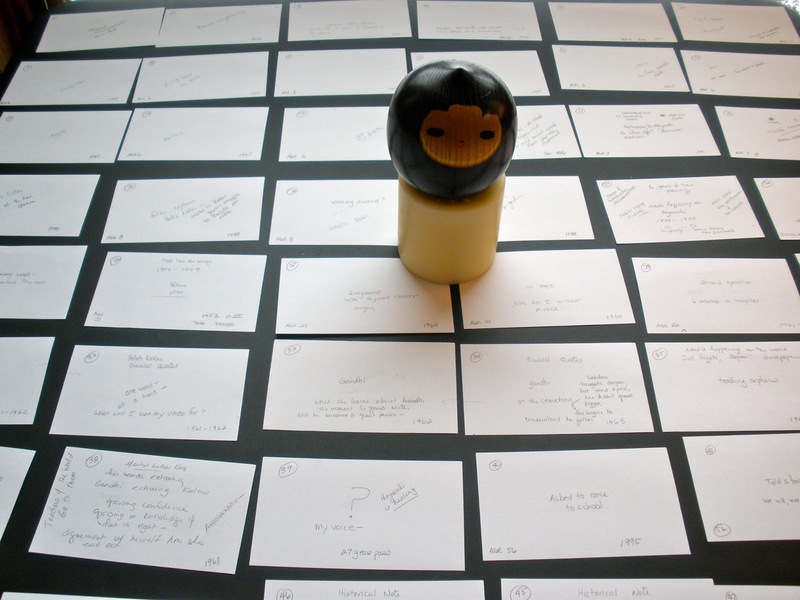 Keiko also translated all my manuscripts of the narrative for Sachiko’s approval or correction. And since Sachiko does not use a computer, all work had to be mailed via snail mail. Bridging language was one challenge, and bridging culture was another. Takayuki Miyanishi, Keiko Kawakami, and my own readings helped me step into the Japanese world. Takayuki pointed out the importance of the Nagasaki camphor trees as symbols of strength, not just for Sachiko, but for all the people of Nagasaki. Keiko helped me understand Japanese family relationships, customs, and traditions, and taught me enough Japanese to be polite. At night, I would climb into bed and read Japanese haiku, noting the careful choice of words and the imagery of nature. I would fall asleep with Sachiko’s story and the language of haiku in my mind. What has been Sachiko’s reaction to having her story told in book form? Sachiko is very pleased to have her story in book form, although she hasn’t seen the published version yet. I plan to go to Nagasaki in January to present the book to her. For me, it will be a promise fulfilled. 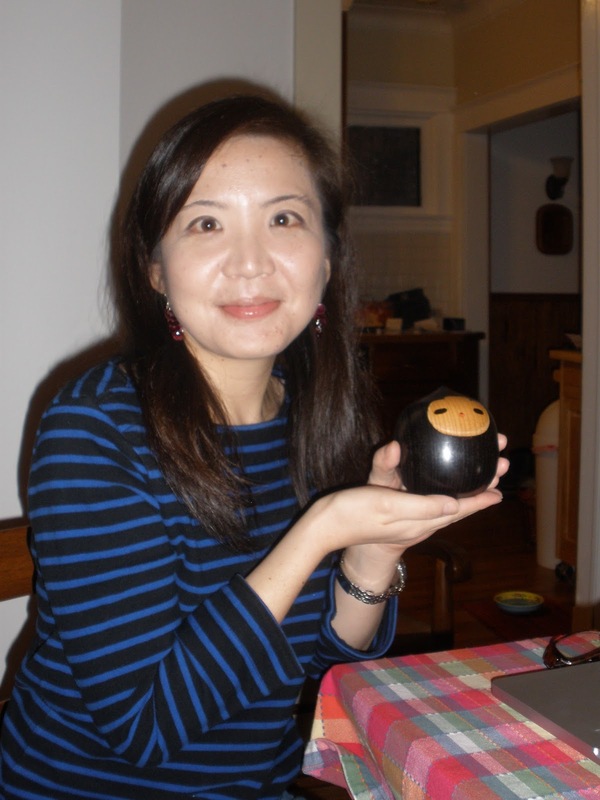 For Sachiko, it will be a gift that assures her story will not be forgotten. It might have been. In November 2013, Sachiko had a stroke, which left her paralyzed on her right side. Fortunately, Sachiko has recovered much of her faculties, although she is now in a nursing home and no longer speaks in public. Sachiko’s greatest hope was always to give young people the strength and courage to surmount the challenges they face in their lives so they can work for peace in their communities and in the world. This is my hope too and is the hope of the many people who helped Sachiko’s story become a book. Is Sachiko happy? Yes. Her published story will inspire more young people than she may have dreamed possible. 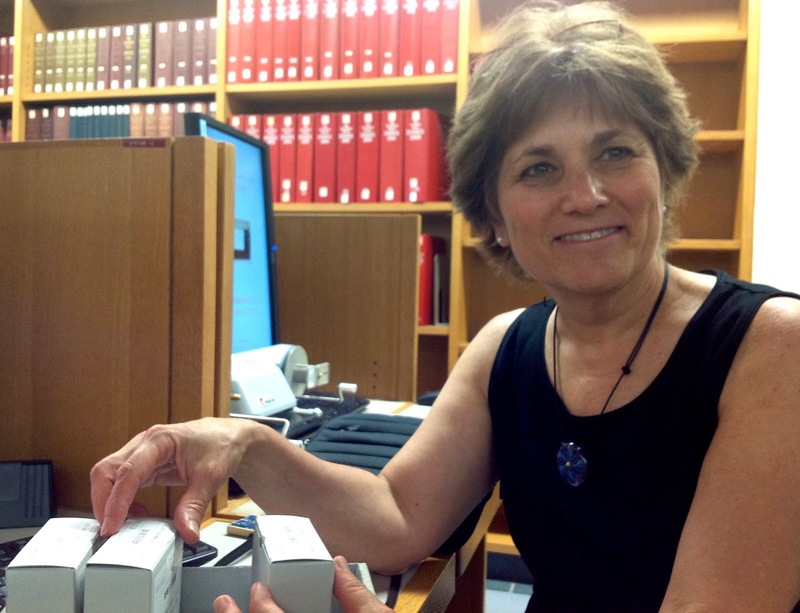 For more on Caren’s Sachiko research, read her “Return of the Sword” guest post here and editor Carol Hinz’s “The Book That Took a Village” post here. To watch a talk Sachiko Yasui gave to Nagasaki University students (with English subtitles) in 2011 on contributing actively to peace, click here. Get Students Reading this Fall with Audisee™ eBooks with Audio! “I was startled. I had never met anyone who had survived an atomic bomb.” What a comment! I haven't either– and now, thanks to you both, we can better appreciate the strength and resiliency that survivors have.